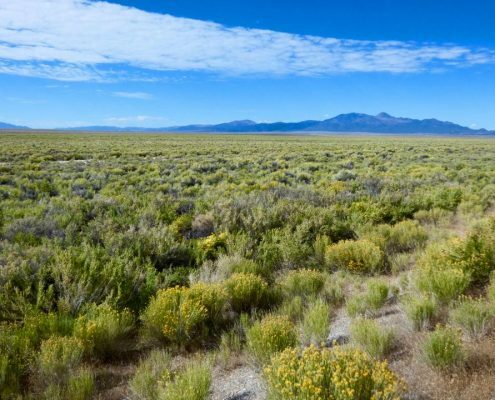 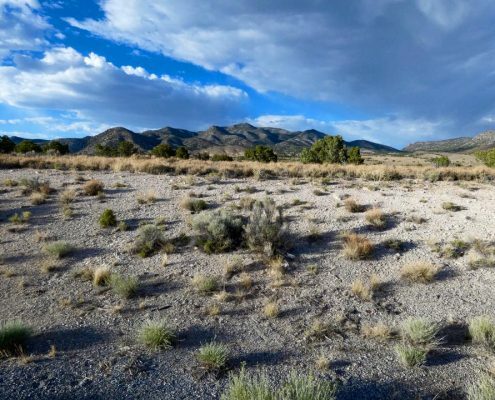 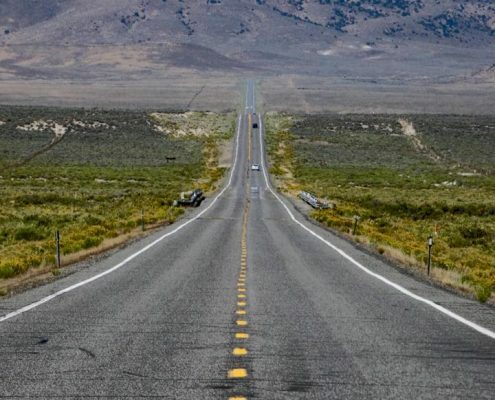 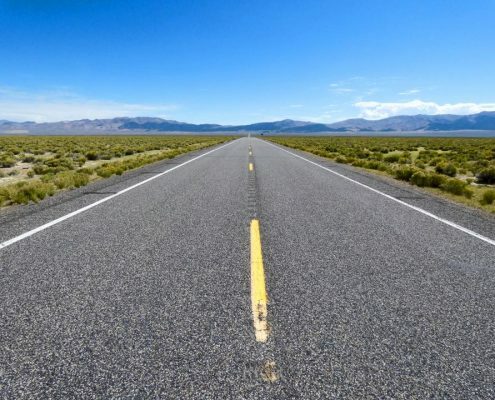 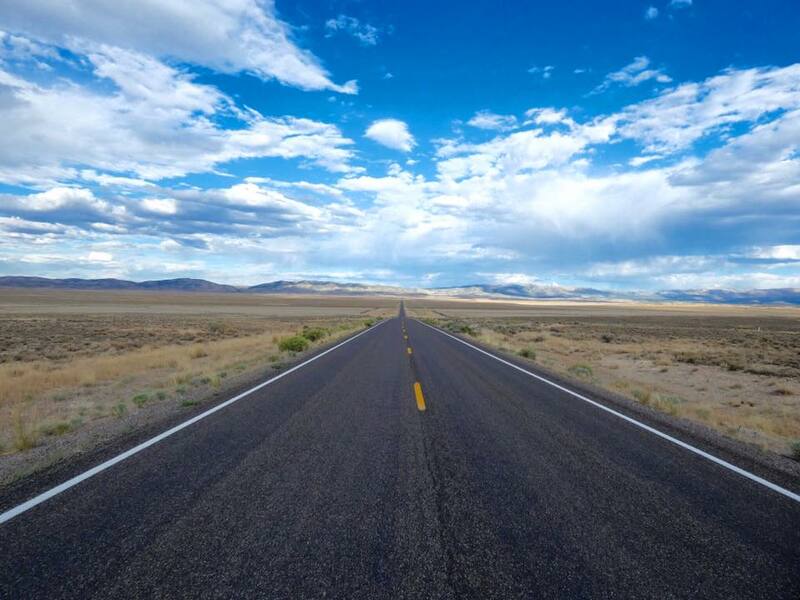 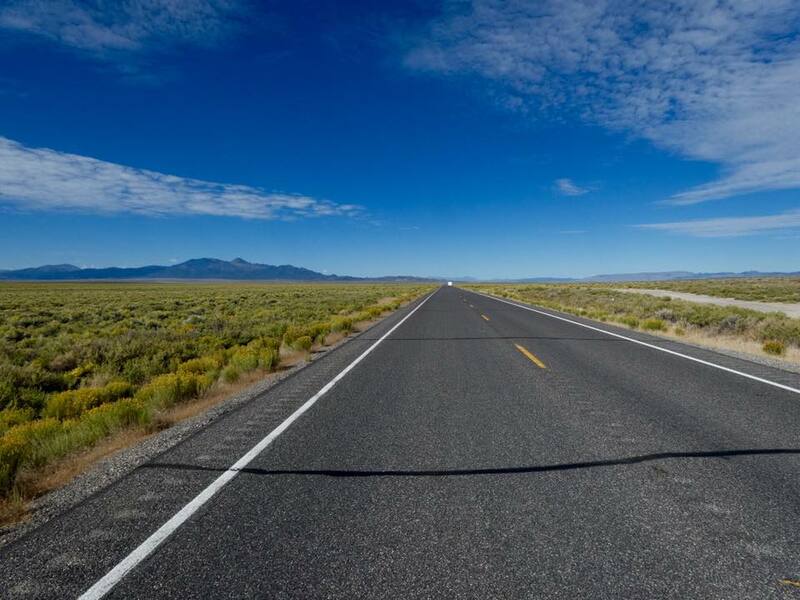 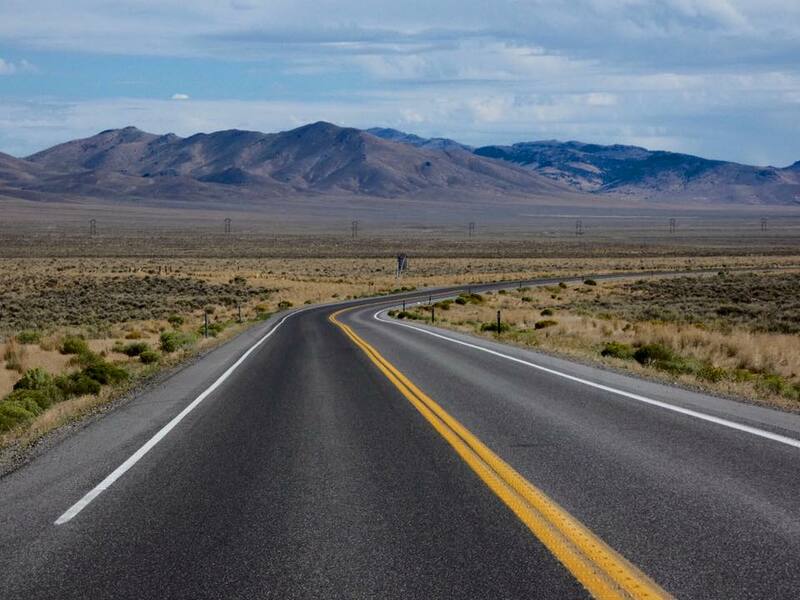 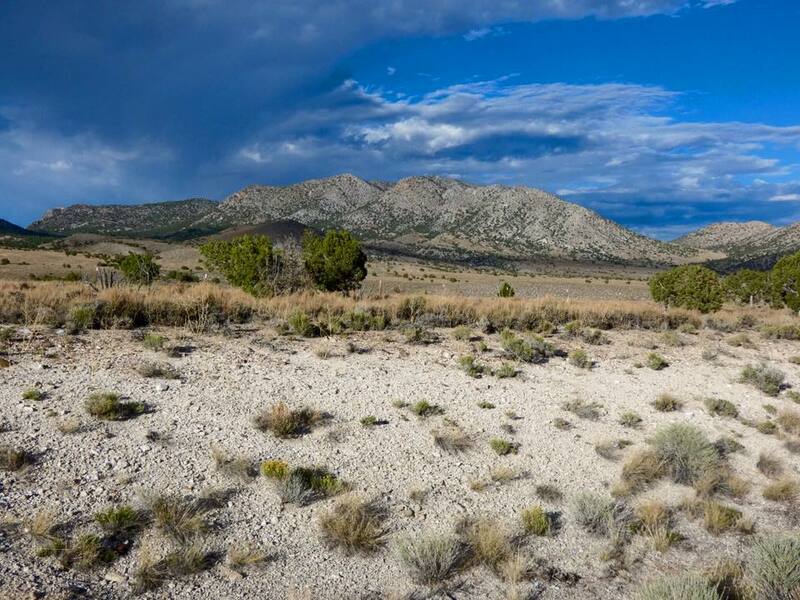 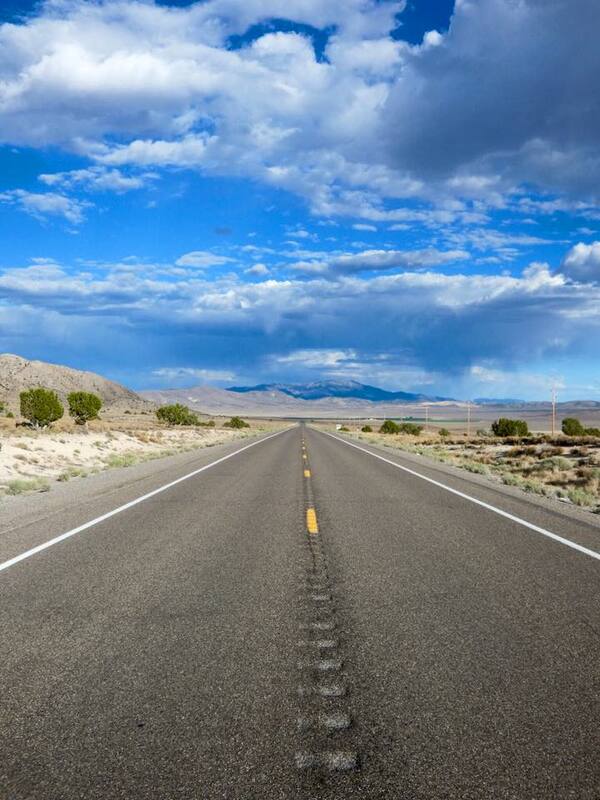 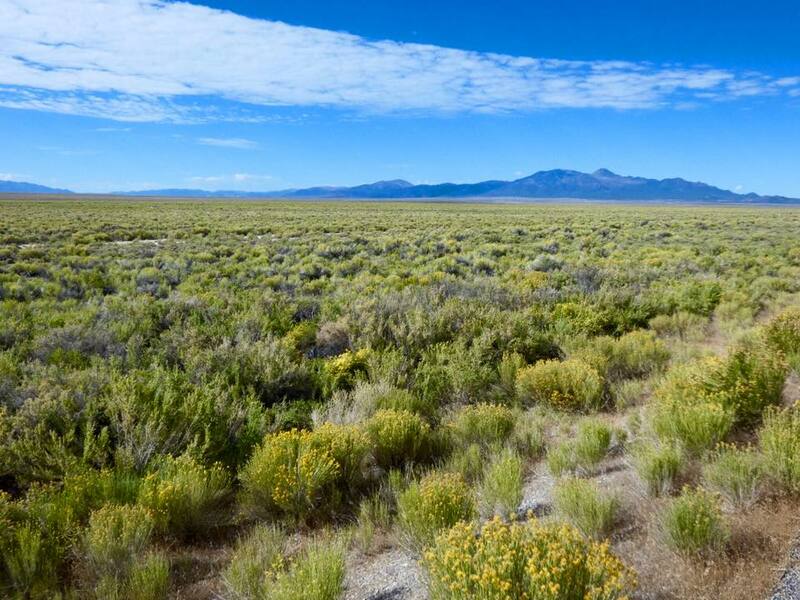 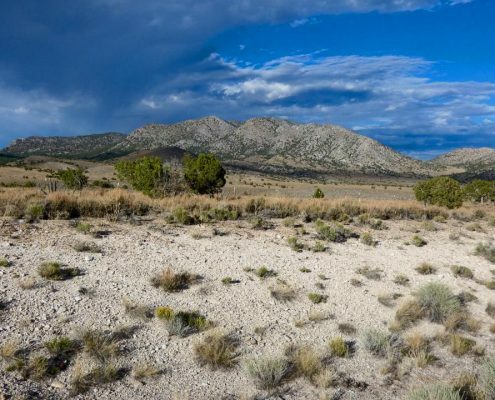 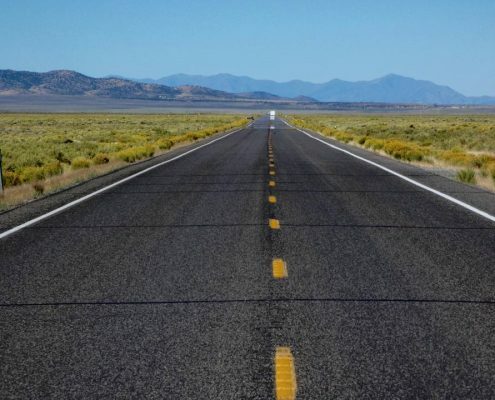 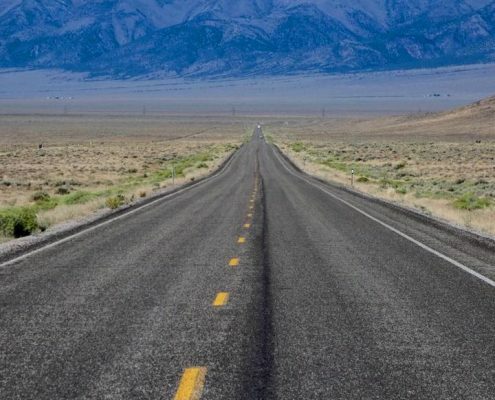 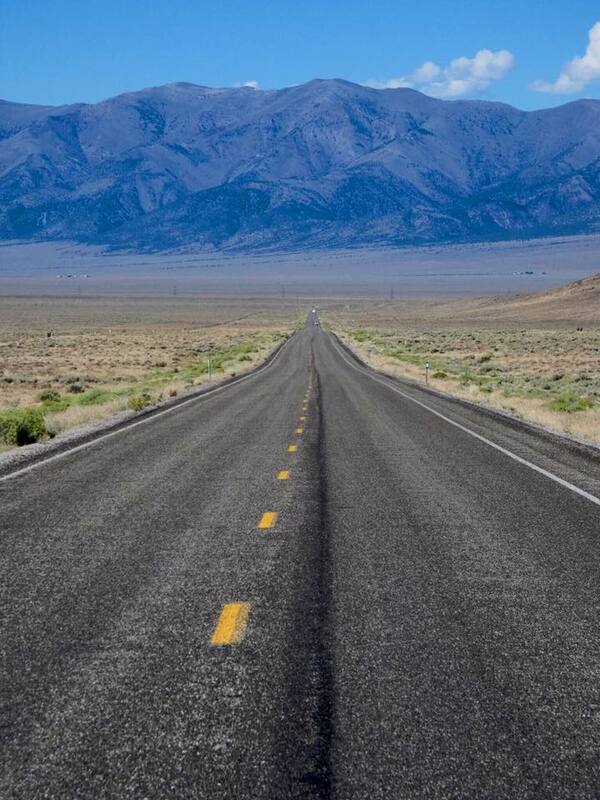 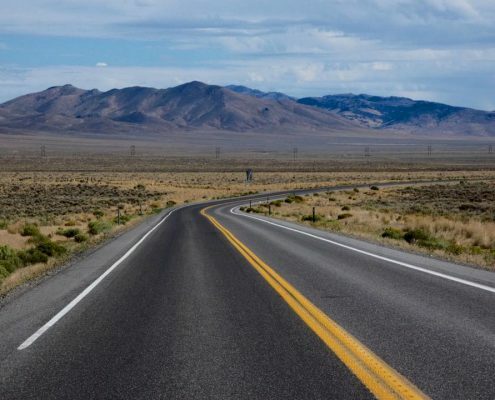 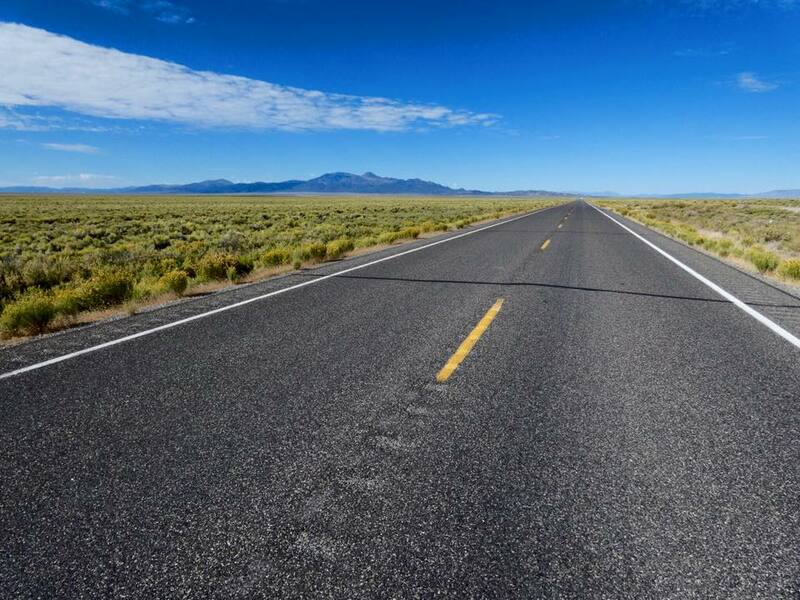 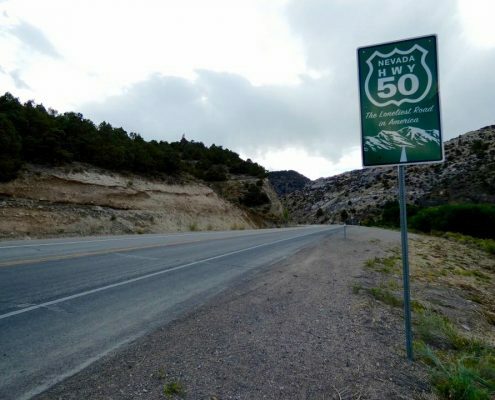 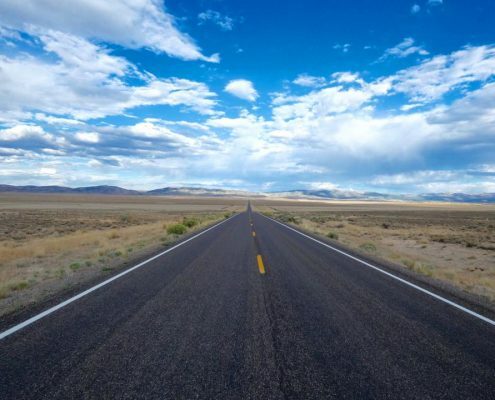 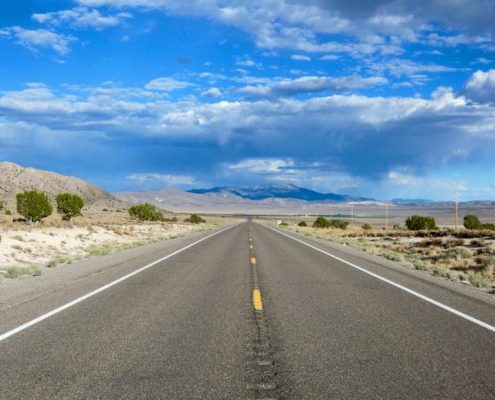 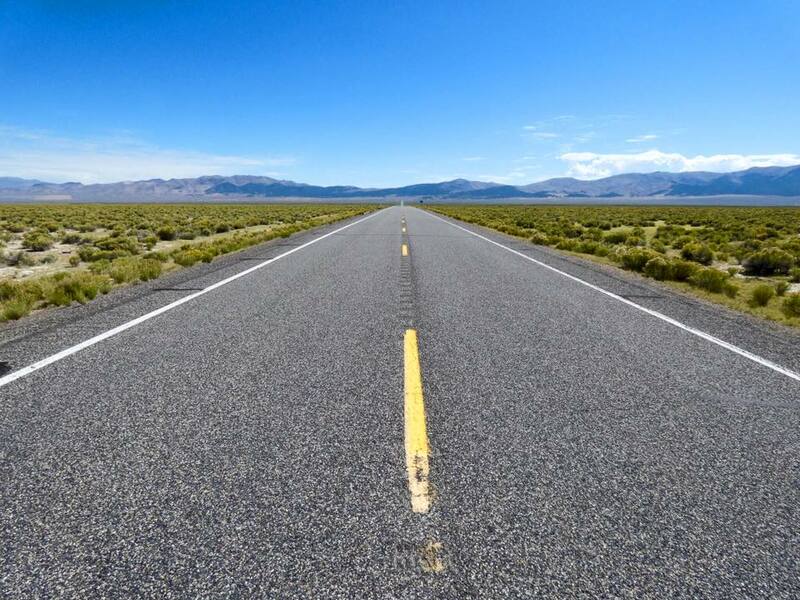 Highway 50 crosses Nevada from Ely to Henderson and was named “The Loneliest Road in America”. 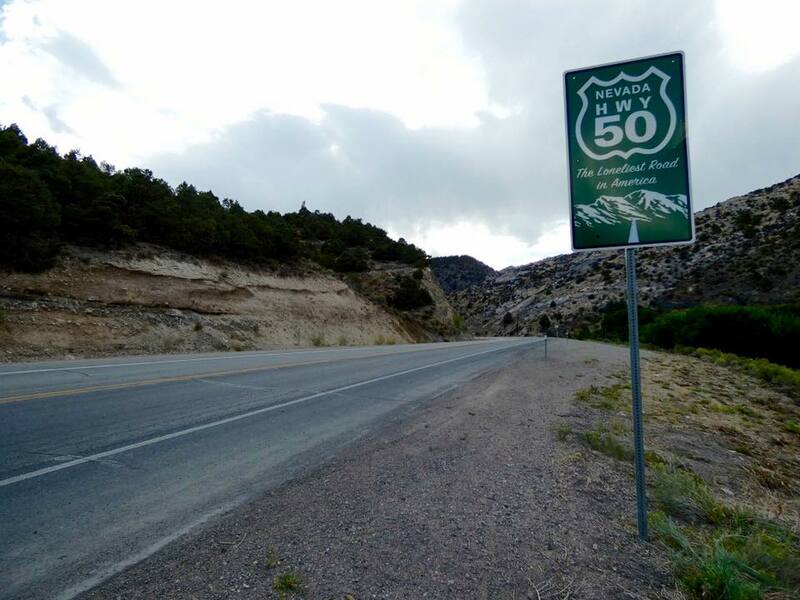 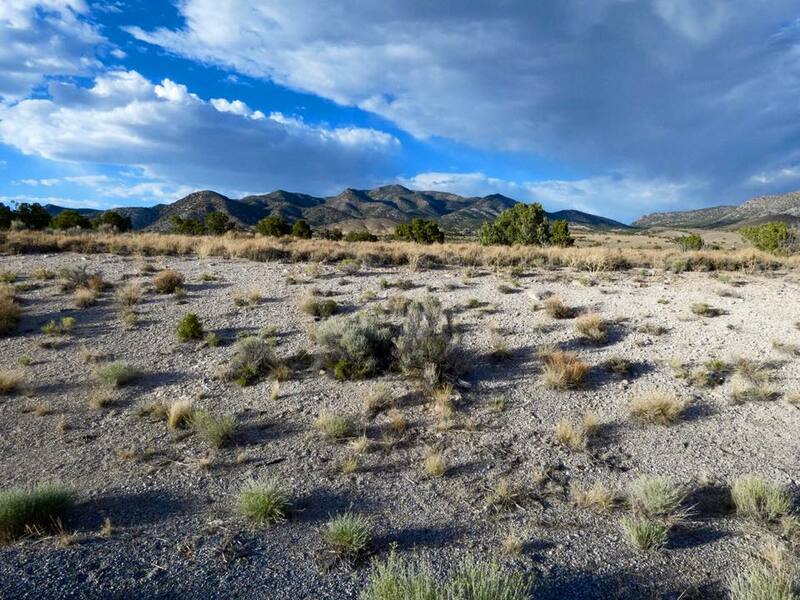 Long stretches of scenic nothingness lie along the way, interspersed by just 3-4 ghost towns. 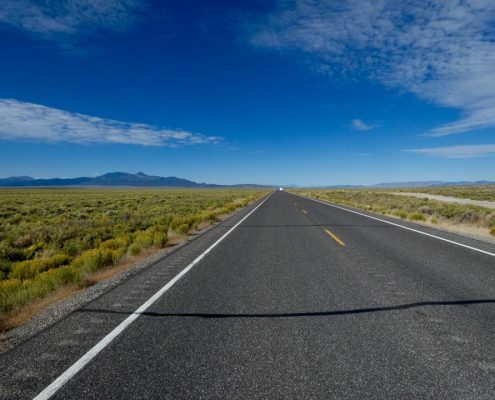 The road has few mountain passes along the way, but for the most part it’s as straight as it can me – disappearing in a straight asphalt line toward the horizons. 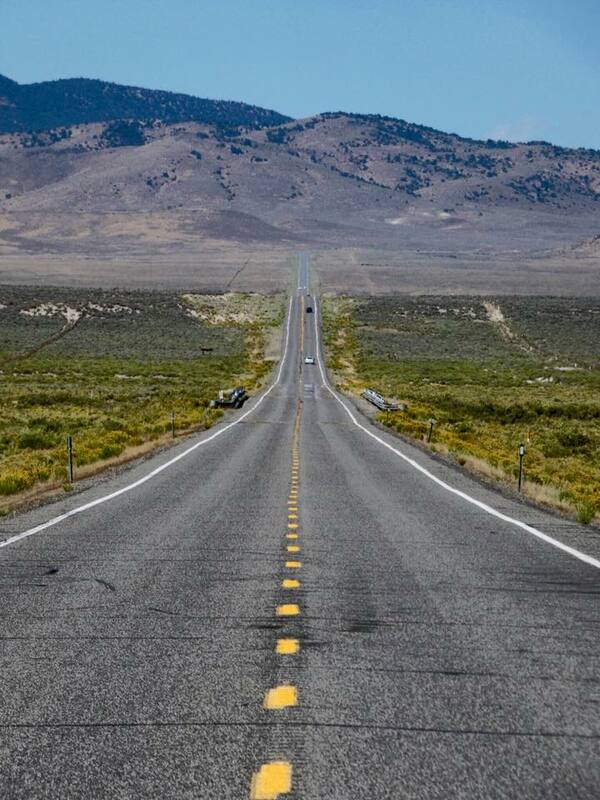 Great opportunity to step on gas and blast the stereo!